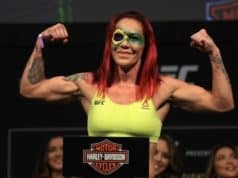 Cris Cyborg explains why, in her mind, her recent loss to Amanda Nunes won’t impact how contract talks with UFC officials will go. The former UFC women’s featherweight champ is currently negotiating with the Las Vegas-based promotion. Amanda Nunes knocked out Cyborg in the first round in the co-headliner of UFC 232 to win the UFC women’s featherweight title. The fight went down on December 29, 2018, at The Forum in Inglewood, California. Now, she’s the champ of the women’s bantamweight and featherweight divisions due to her shocking victory. 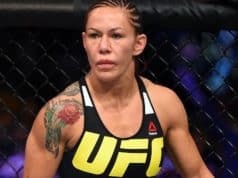 While doing a recent interview, Cyborg made it known that she doesn’t think this loss will impact her new UFC contract. Despite the obvious fact that she’s no longer a champion or her winning streak snapped, Cyborg has one reason behind her belief.